Pokémon has always had a rough time away from the handhelds. Never quite finding a way to translate the addictive nature of the mainline series, they’ve ranged from menial to poor, such as the lukewarm Coliseum series on the Gamecube. 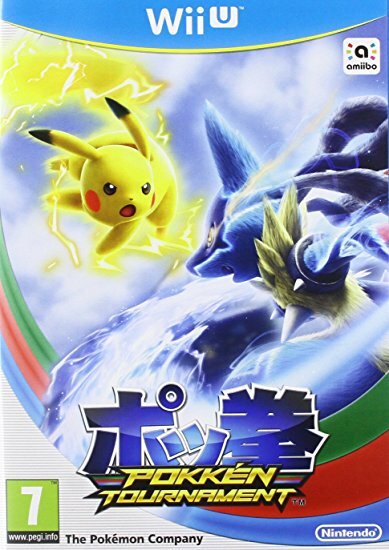 But now Pokkén Tournament comes to WiiU, after a brief period in the arcades. Serving as an amalgamation of Pokémon with Tekken mechanics, it represents one of the better Pokémon games to come to consoles, though it still has some flaws which hold it back ultimately. 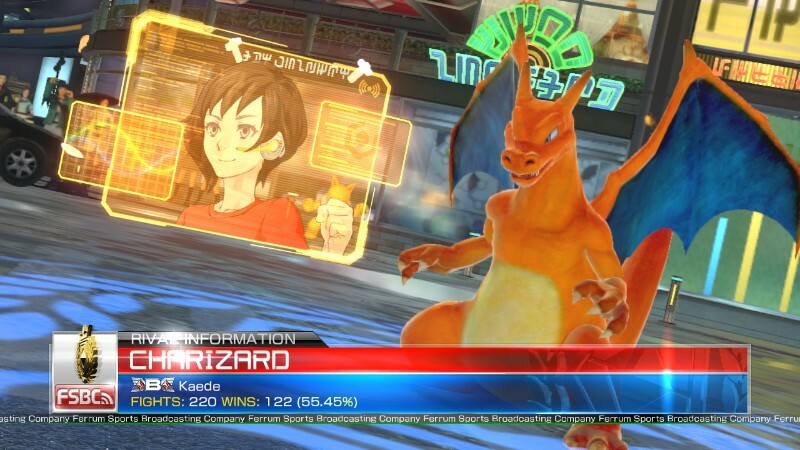 You can compare Pokkén Tournament’s fighting to a game of rock-paper-scissors. Each fighter comes with a set of basic moves, throws and cancels/counters. Basic moves can be thwarted with cancels; throws can prevent counters and cancels while basic moves can prevent throws. In other words, the game becomes a tense battle to predict what your opponent will do and react with the right move. It sounds like a basic system, and to be fair, it’s a great way to introduce casual players to the game. But it also has a lot of depth, as a fair list of combos can give you the advantage. Even choosing your Pokémon can vary your tactics, as each one sits in a different class and presents their own strengths and weaknesses. 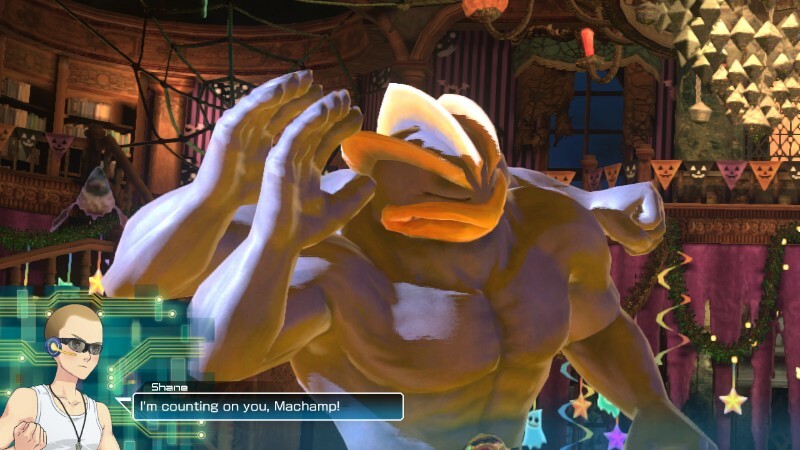 Machamp can blow through his competition, while using Pikachu requires a need to play defence and wait for an opening. 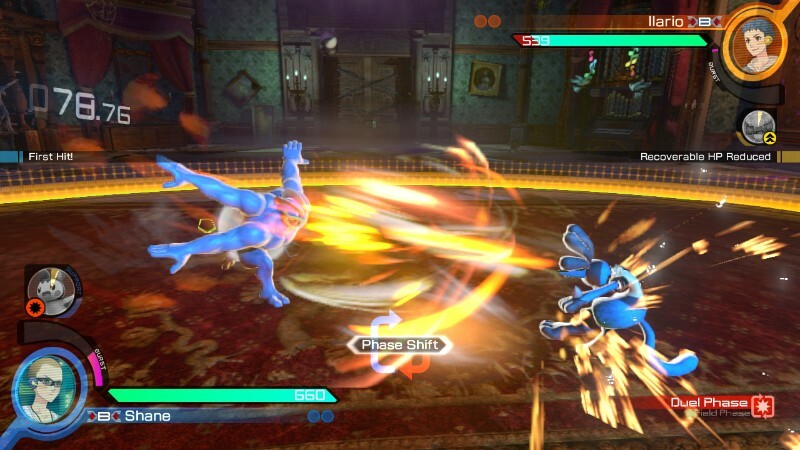 Pokkén Tournament’s fighting is divided into two distinct phases. Opening with the Field Phase, these often boil down to long-ranged attacks and allows Pokémon to move freely around the arena. Once you enter the Dual Phase, the game turns into a more traditional fighter, with 2D movement. Each phase comes with different moves, allowing you to tactically change your game depending on what phase you are in. You can switch between phases as well by executing certain moves, and while swapping between phases can be a bit jarring at first, it ratchets up the pace and adds further depth to the already solid fighting. The last elements of the fighting are Synergy Energy, Support Pokémon and Advisor Cheer. In all modes, you have an advisor who not only lectures you on every facet of the game, but also can provide a boost between rounds, such as recharging one of your meters. Support Pokémon are selected before the battle, and allow you to gain advantage through Attack, Enhance or Disrupt Pokémon, such as performing damage, buffing your character or slowing down your opponent. Synergy is a bit like the energy meters from other fighters, building as you deal damage or collect orbs in Field Phase. Once you fill it, you can enter Synergy Mode, where your attacks deal more damage and you can perform a powerful and visually flashy Synergy Move. None of these elements are especially noteworthy, but they’re welcome additions nonetheless. It’s just a shame that while the foundation is strong, the content on top is not. The roster is incredibly small, with 16 fighters altogether. And while smaller rosters have worked in the past, such as BlazBlue’s brilliantly dynamic roster, it becomes a detriment to the League Mode. You’re tasked with defeating other trainers, eventually earning your way into a tournament and Battle with the League Champ. There’s also a secondary story mixed in regarding the mysterious Shadow Mewtwo who is affecting the balance of the world. While these do spice up the mode, you often battle the small roster of Pokémon dozens of time before you reach the credits, leading to repetition and a sense of monotony, especially once the difficulty ramps up in the last league. You can only brawl with Charizard a certain number of times before boredom creeps in. 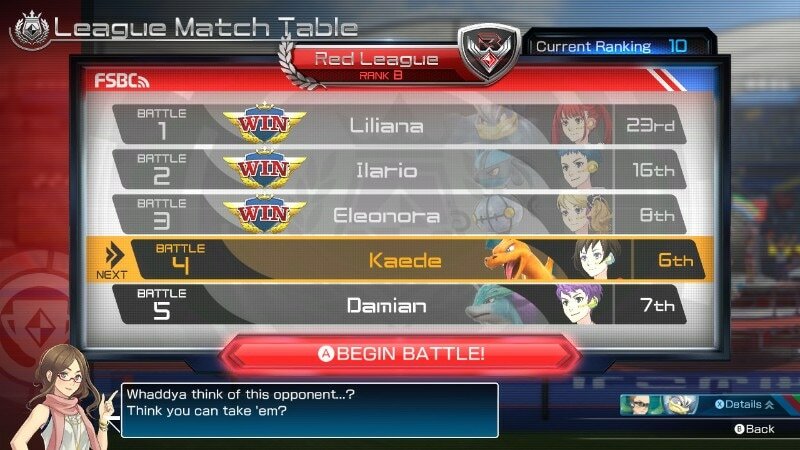 Outside of League, you can also participate in Single Battles, including one with random drops which shakes things up a bit. You still level your chosen Pokémon in this mode, incentivising plays if you’re looking for a quick fix. There’s also multiplayer, both locally and online. Local is integrated through the second screen of the gamepad, and works well. But playing against others around the world is great, allowing you to track your win/loss records, level up your rank online and qualify for higher ranks. For a majority of the games, lag was not an issue, though one game did become crippled by disorientating lag. None the less, it’s a great competitive experience, if not a single-player one. Pokkén Tournament looks great, benefiting from a crisp frame rate, detailed environments and fast, fluid action. The brightly coloured environments and Pokémon are appealing, though the fighters can come off as a bit jaggy. The audio is okay, if at times a bit grating. The overly enthusiastic Advisor feels corny and irritating, and unfortunately she has a majority of the voiced dialogue. The music is catchy, and usually fits well with their environment. 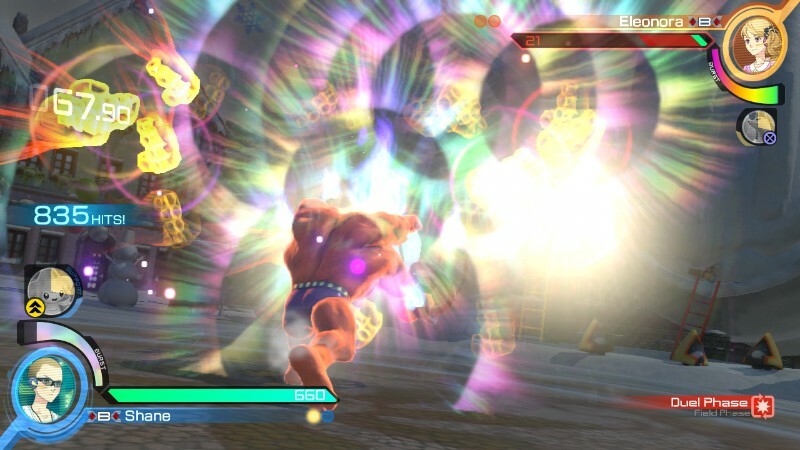 The sound effects work too, with punchy combat and explosive finishers. While Pokkén Tournament perhaps doesn’t fill the void of a full-Pokémon game on consoles, it’s great to see a solid fighting game come to the Wii U’s library. The beautiful, rock-solid fighting works great, but sadly the modes feel a little flat in comparison. And with a short roster, it perhaps will lose its lustre too quickly for some. But if you can forgive the repetition in League mode – and get the most out of online play – it is worth a recommendation. Those looking for a solid fighter or one where you can stone-cold stun an enemy as Pikachu, then this is worth a pickup. But it won’t replace your Mortal Kombat, Street Fighter or BlazBlue. 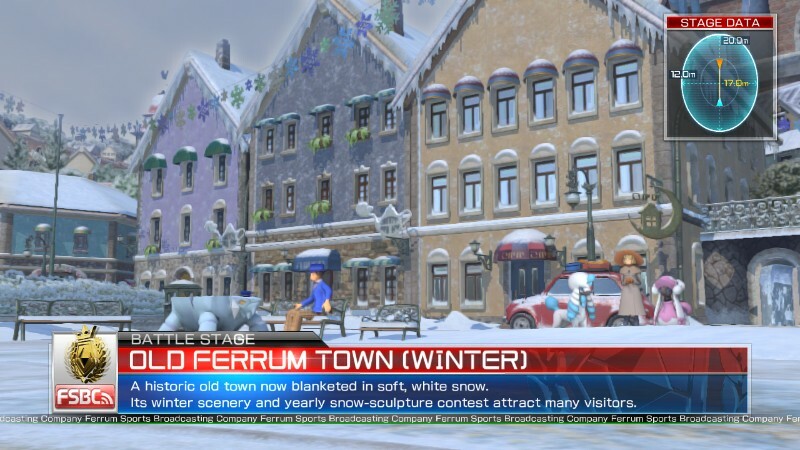 "While Pokkén Tournament perhaps doesn’t fill the void of a full-Pokémon game on consoles, it’s great to see a solid fighting game come to the Wii U’s library... If you can forgive the repetition, it is worth a recommendation."